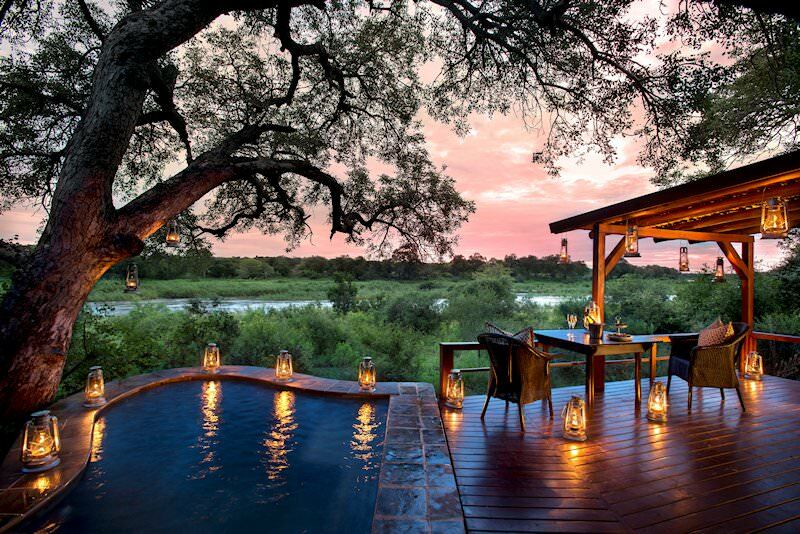 Lion Sands Tinga is amongst a handful of five star lodges located on private concessions inside Kruger. Lion Sands Tinga Lodge lies on the banks of the Sabie River in a 5000 hectare concession inside the Kruger National Park. The main part of the lodge features wooden decks, offering breathtaking views of the Sabie River just a few feet below. 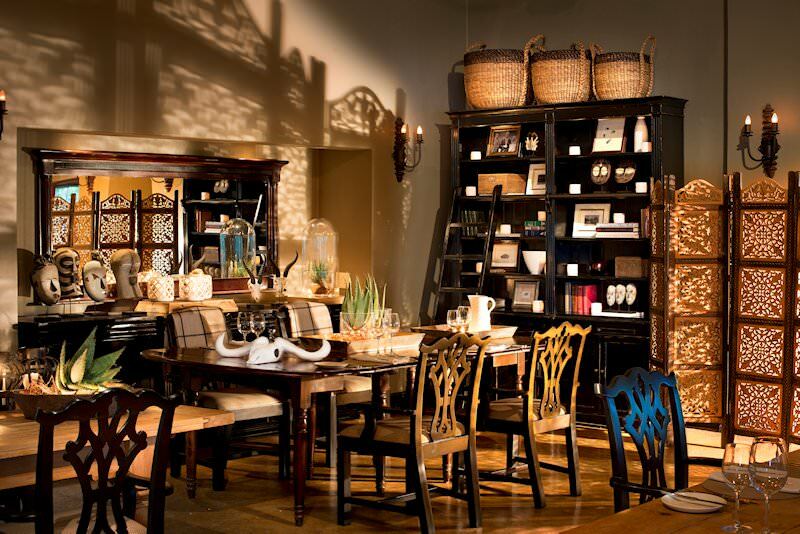 Tinga prides itself in its grand and opulent style, reminiscent of olden times, the visitor guaranteed of an extraordinary luxury Kruger Park safari. 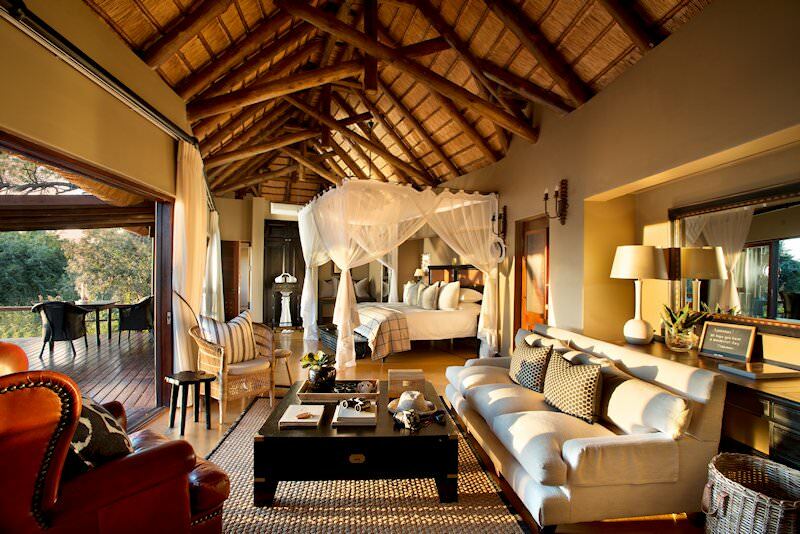 The lodge only has nine, very private suites, with a complement of staff that will ensure a content and relaxed stay. Each suite looks out over the Sabie River and has its own lounge, private deck, plunge pool and en suite bathroom with outdoor shower. 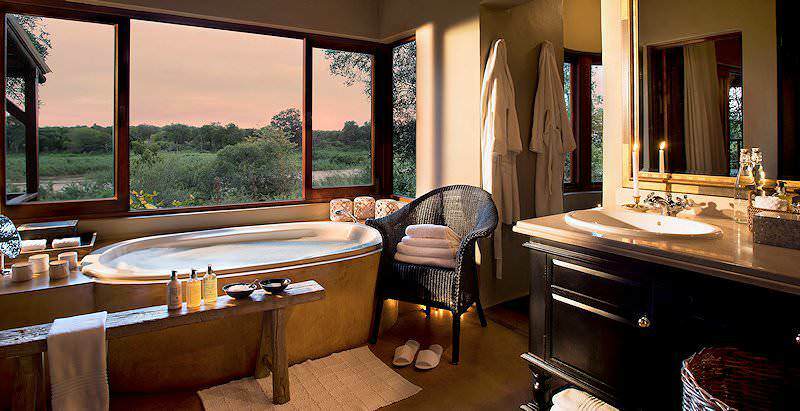 The luxurious bathtub also enjoys uninterrupted views of the bush, and a range of pampering products like bath salts and body wash ensure relaxing indulgence. The heat of the African bush has an impact on the activities and behavior of animals. Therefore, game drives are conducted in the mornings and in the afternoons, when game are at their most active. As the area is not affected by animal migration, the game viewing is of high standard throughout the year. The guides will share their vast knowledge and the whole experience of your safari at Tinga will be the source of stories and memories that will last a lifetime. Guests fly from O R Tambo International Airport to Nelspruit and are then transferred to the Lion Sands private concession for their luxury safari in the Kruger Park. 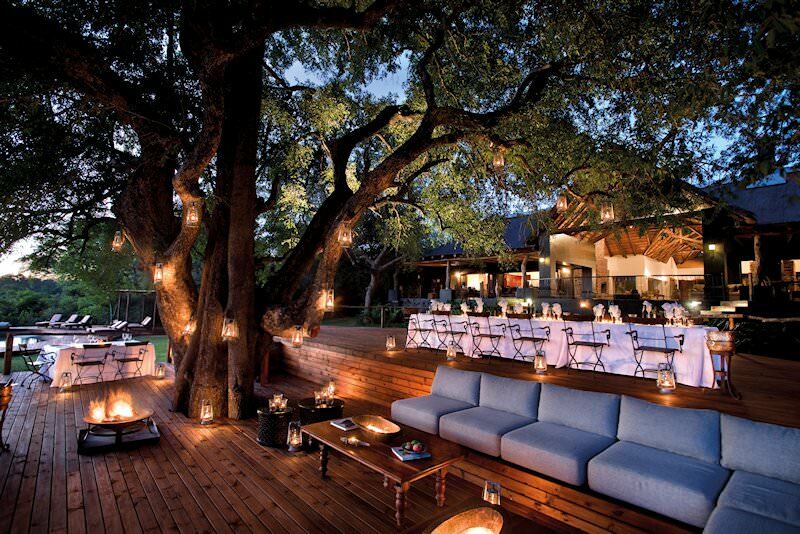 Tinga Lodge is located in the Big Five-rich south of the park and overlooks the fertile banks of the Sabie River. Each unit has its own private plunge pool, with an additional communal pool for social occasions. 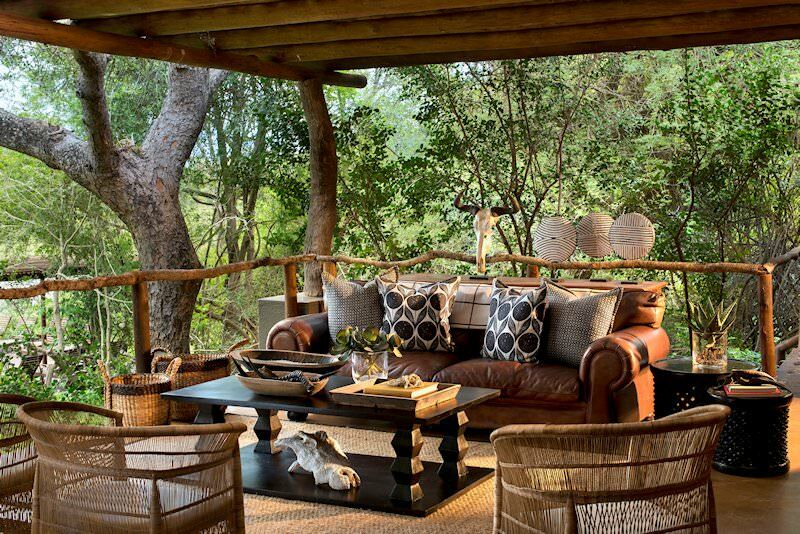 The lodge’s unfenced perimeters mean that thirsty wildlife may show up on your doorstep seeking a drink! 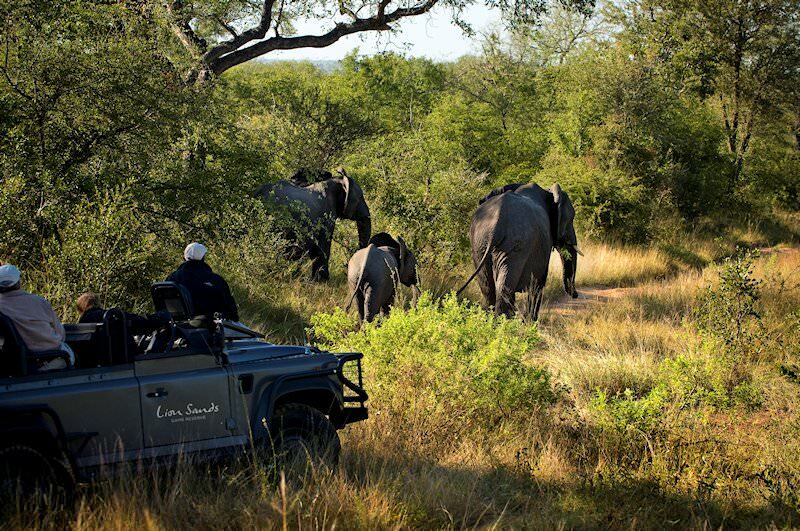 Two open-air 4x4 game drives are conducted daily with the expert knowledge of Lion Sands guides. Alternatively, guests can participate in a wilderness reconnaissance on a guided bush walk, complete with experienced trackers. 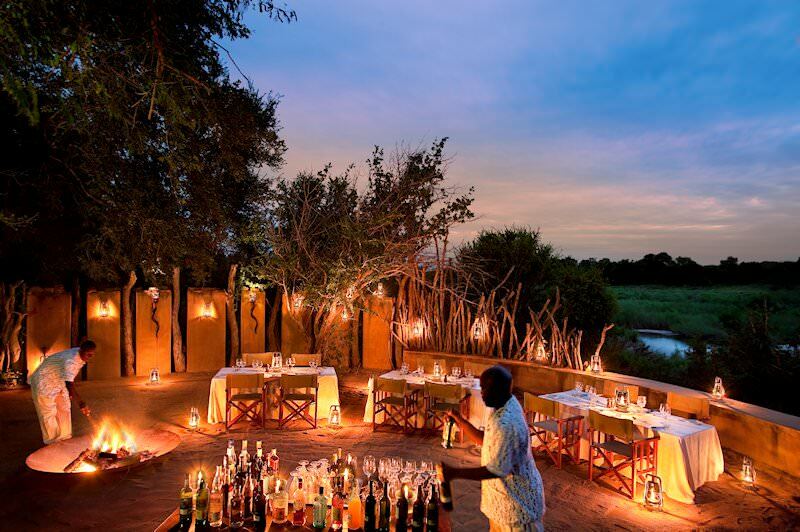 Dinners are lantern-lit and hosted in the lodge’s outdoor boma or under the ancient trees that flank the river. 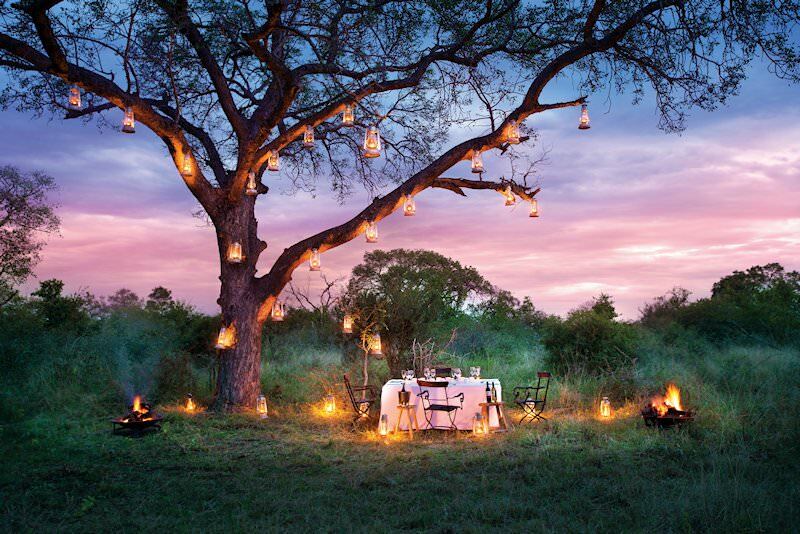 Luxury, fine dining and unforgettable safari adventures are what is on offer at Tinga. Since being taken over by the very capable management team of Lion Sands, this lodge has really become a jewel in the crown of private lodges inside Kruger. Travel to South Africa for a family safari in a malaria-free wilderness area. Botswana offers visitors the opportunity to enjoy water-based safari activities. Namibia is a vast desert country that hosts surprisingly ample wildlife. Zambia's national parks are remote, but the safaris are truly worth the journey. Zimbabwe is known for its spectacular perspective of 'the smoke that thunders' - Vic Falls. Mozambique's translucent waters and pearly beaches are the stuff of vacation dreams. 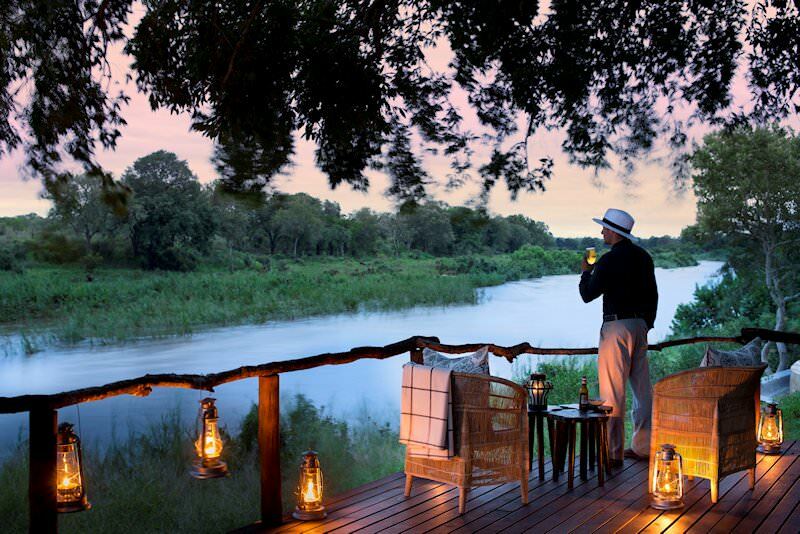 The Kruger Park is South Africa's premier safari destination, remarkable in its sheer size and incomparable diversity. 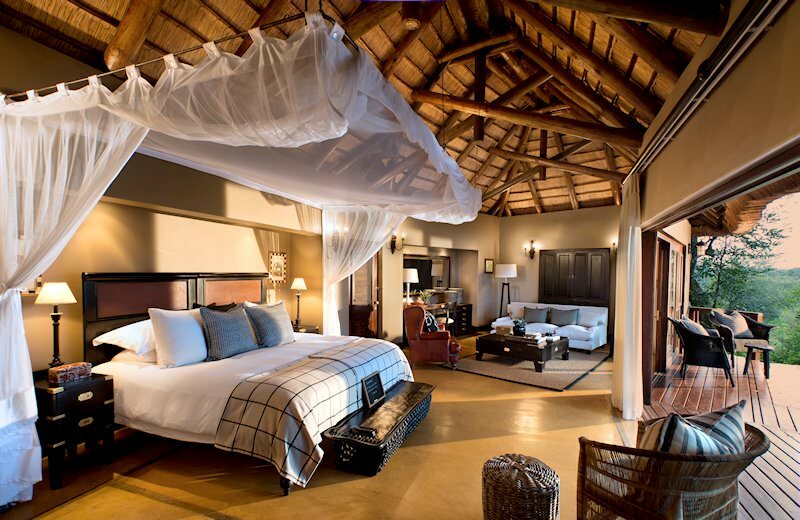 The luxury safaris offered by African Sky are characterized by plush accommodations and exceptional game viewing. The Big Five are often responsible for the most dramatic sightings, like witnessing lions take down their prey. 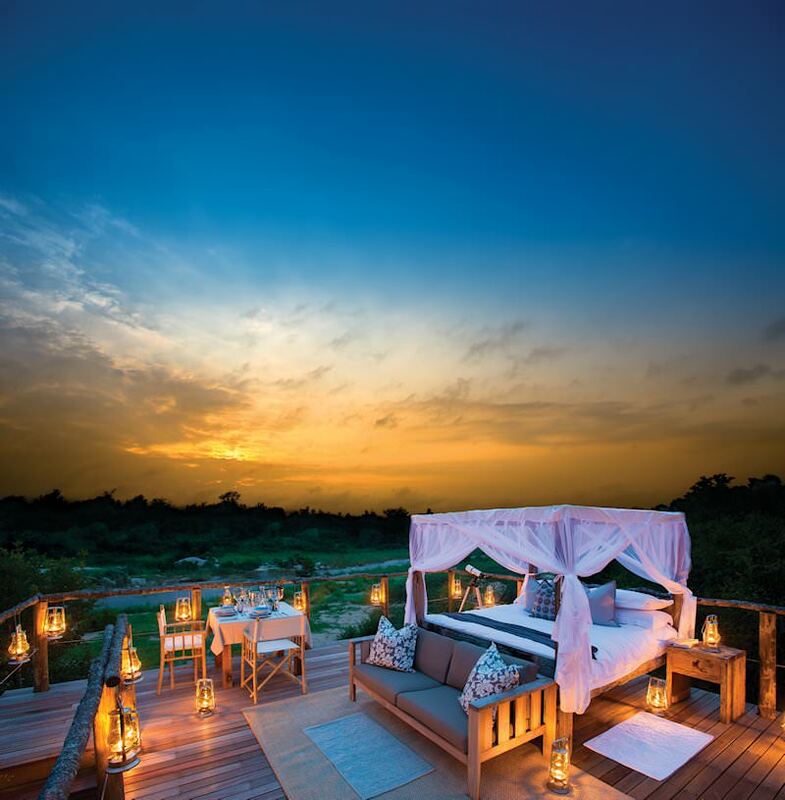 The African lodges included in our safari packages include illustrious names like andBeyond, Singita, Lion Sands and Londolozi.